From Prime Minister Narendra Modi to Goa Chief Minister Manohar Parrikar and Defence Minister Nirmala Sitharaman -- everyone's going around using the "How's the josh?" punchline from Bollywood film "Uri: The Surgical Strike". 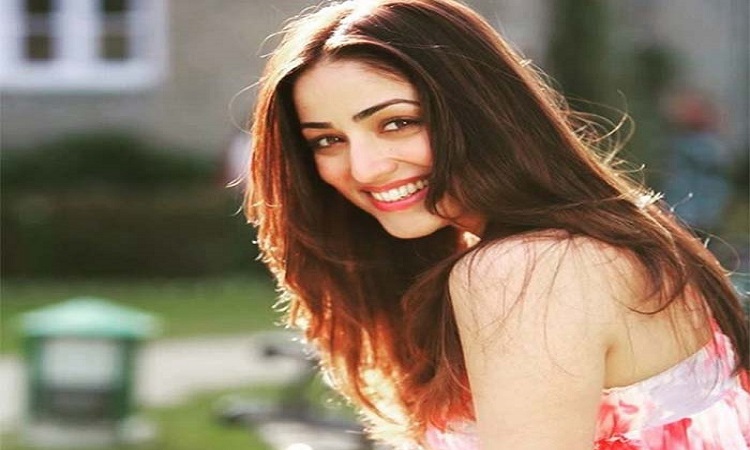 Actress Yami Gautam, who stars in the movie, says her own "Josh (passion)" is always very high. "My 'josh' is always very high. That's what has kept me going," Yami told IANS after walking the ramp for Gauri & Nainika at the Lakme Fashion Week Summer/Resort 2019. 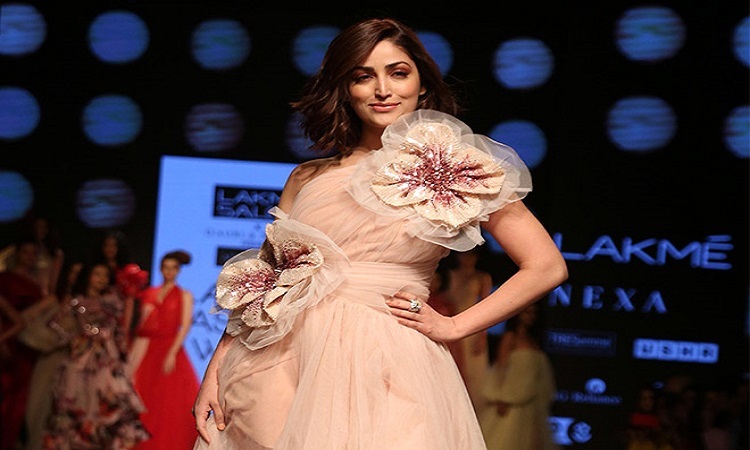 The "Vicky Donor" actress tripped and slipped multiple times due to her superfluous tulle gown, but not once did she let go of her confidence on the ramp. "It just comes from the fact that you can know it can happen with anyone. I am not the first one. Even if you have seen anywhere internationally, these things do happen. The whole point is that whether in life or on the ramp, the show must go on," said the actress, who has been garnering praise galore for her part as an intelligence officer in "Uri..."
Even at the LFW venue, a group of fans surrounded Yami and shouted in unison, "How's the josh? High Sir." "We are very happy. I am sure I say this on behalf of everybody related to the film that there's a lot of gratitude for the love that we are getting. The box office success of a film is always something that is gratifying as an actor. "But gratifying as a person is when people personally reach out to you and feel personally connected with the film. Be it a six-year-old kid to a 90-year-old, it's great how everyone has connected with the film, and the kind of messages that we are getting, the videos that have come our way and the 'josh' that the entire country is feeling. I will never forget 'Uri..'." 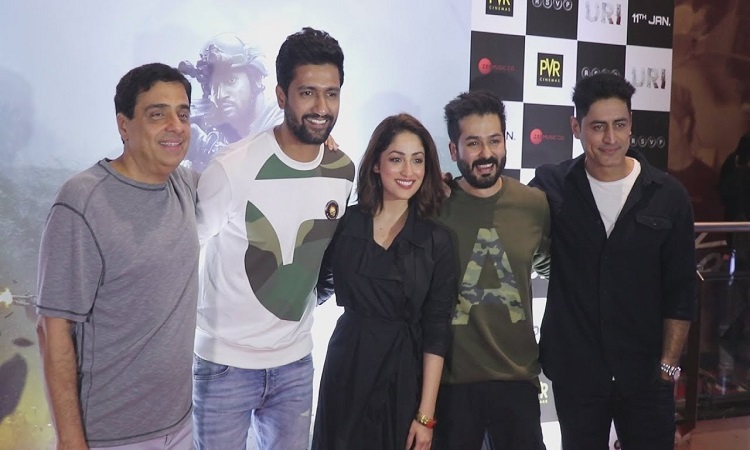 Directed by Aditya Dhar, and starring Vicky Kaushal, the movie is about the surgical strike on terror hubs in Pakistan conducted after the 2016 terror attack at Uri in Jammu and Kashmir. The fact that the film has got the country's politicians to join in the 'josh' is more reason for the team to celebrate. "The feeling is surreal when from the Prime Minister to the Defence Minister, the Vice President, and Manohar Parrikarji do this. So many of them they are appreciating the film, and so are Army Generals." At one point, critics pointed out the jingoism associated with films like "Uri...", but Yami said: "Not anymore. There were certain questions before the film released, but the same set of people turned around and said there was nothing of the sort. We didn't have to say anything. The film spoke for itself." "You will hear that soon. It's always the producer's prerogative to announce a new project."